Tierra Firme invited visitors of the Guadalupe Mountains National Park to join us inside the Land Loom shelter and take the time to experience the park in a different way. Throughout the activity, visitors shared the space together, swapped stories with one another, and wove meditatively. It was an honor to offer a contemporary and alternative approach to interpreting the landscape of the Guadalupe Mountains National Park to many folks coming from all around the world. Our finished woven tapestry is the left panel of the Land Loom that faced the beautiful El Capitan Peak. The woven landscape has many windows, a symbol of portals and a signature of the many hands that helped weave it. 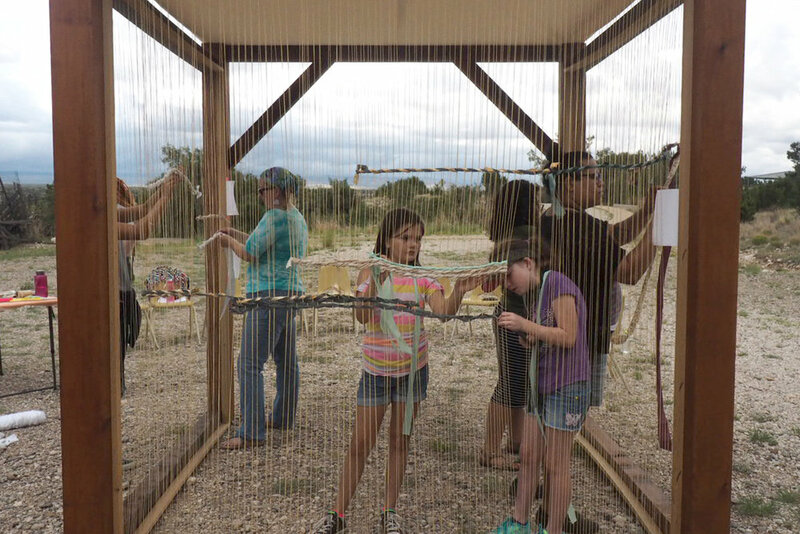 Weaving materials included recycled clothing and yarn from the nearby communities of Carlsbad, NM, El Paso, TX and uniforms donated by the National Park Rangers. 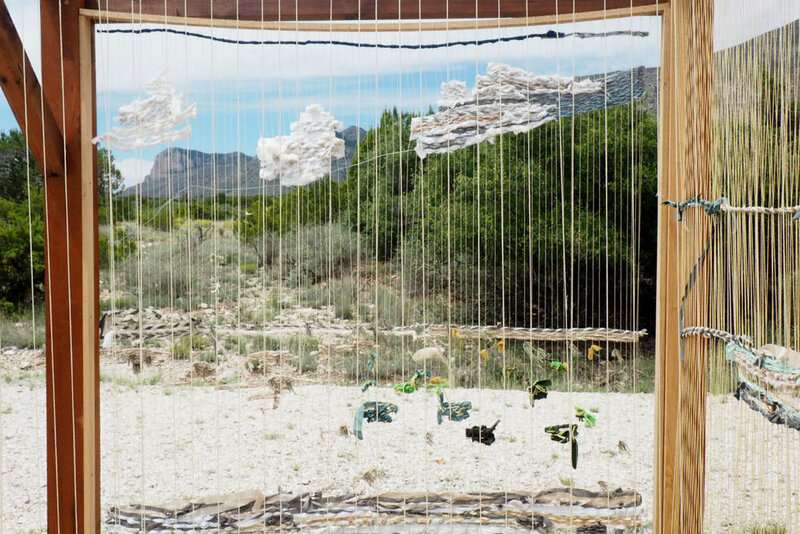 The piece is a celebration of landscape identities, the National Park Service Centennial, and the communities that are lucky enough to have experienced the Guadalupe Mountains National Park. We will show the complete woven tapestry alongside found object installations at our upcoming exhibition, Sky Island at Box 13 Artspace in Houston. Special thank you to Jim Burton for all his expertise knowledge during the construction of the Land Loom!